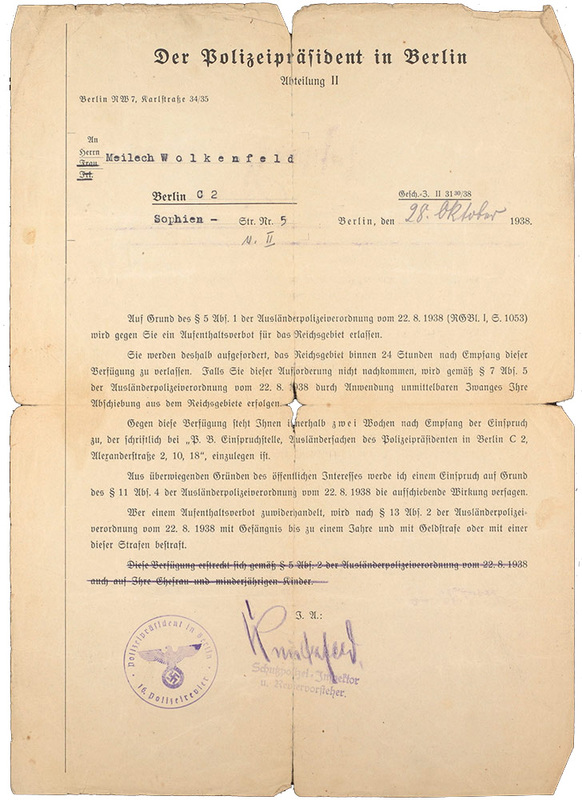 Order for Meilech Wolkenfeld to leave the territory of the Reich within 24 hours. 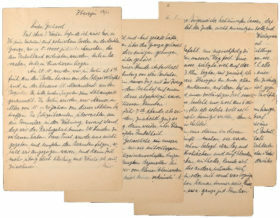 The document was presented to him on October 28, 1938 in Berlin, but like Max Karp, he was immediately arrested and deported to the Polish border; Jewish Museum Berlin, gift of Jack Wolkenfeld. “In Berlin, only men between the ages of 15 to approximately 90 were subject to this action. 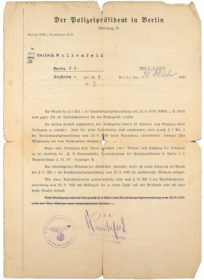 At our apartment, the police officers presented us with a form that stated that we were to leave the territory of the Reich within 24 hours. We were not, however, granted this period of time and had to follow the officers as soon as we had dressed and were given next to no time to take along clothing and linens. I was forced to leave Germany meagerly clothed and with just a few Reichsmarks. In other cities and provinces of the Reich, entire Jewish families were arrested on the evening of Thursday the 27th of October and were locked in cells overnight, without regard for infants, children, pregnant women, the elderly, or the ill. The latter was also the case in Berlin. After the people had been gathered in Berlin, we were brought to a freight depot in Treptow in half-enclosed or partially covered trucks under the supervision of the police barracks. In front of the barracks and in the neighboring streets, emotional scenes took place among the women, mothers, and children left behind in Berlin. One truck after the other left the barracks courtyard with us in them, a long chain of monstrous vehicles snaked across the “Alex” and through the city, accompanied by the deafening din of sirens, sounded intentionally to alert the population of Berlin to our forced deportation. The people amassed in the streets, witnesses to the “historic” expulsion of the Jews from Germany. Once we arrived at the tracks in Treptow, we got out of the trucks, which, by the way, had no seats, and in which we had been thoroughly jostled. We were glad to be standing on solid ground again. Before getting on the trains, we were divided into groups and had to hand over our passports. In the meantime, a police regiment had marched up in front of us and was just loading their weapons, demonstrated to us intentionally. These men accompanied us during the journey, along with members of the Gestapo and immigration authority. The route took us over the Treptow-Stralau railway bridge, then swept to the right and later arrived at the border via Frankfurt am Oder. We had to disembark in Neu Bentschen, and initially every group had to remain standing in front of their train car. 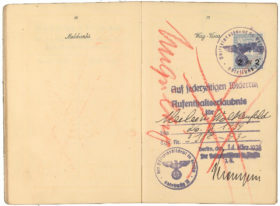 From there, we were called up by name and received our passports, in which the German residence visa had been annulled. We had to wait for a while on the platform until the customs and currency controls had been conducted, which were carried out very superficially and quickly because further transports were arriving. Anyone with money and courage could have taken a fortune over the border. Perhaps a few managed to do so, or so I’d heard. After about an hour, we left the platform at Neu Bentschen, as another train with forced émigrés was arriving. We waited in a plaza in front of train station until the group behind ours was processed and could join us. It was around 7 p.m. when we were told to march; first we walked along the train tracks, then down country roads and cart paths in the dark of night. Since there were some invalids among us, we had to carry them. The police regiments accompanying us carried rifles with bayonets attached. Now and again we were illuminated by small search lights so that no one could slip away. We had to keep up a certain pace. We were being driven like hunted animals! Anyone who couldn’t keep up was goaded forward with painful strikes and blows to the ribs. Despite the haste of our arrest, some of those among us were able to bring baggage from home, which we took turns carrying. But one of us wasn’t able to carry his bag, which contained several thousand marks worth of furs and was very heavy, and so it had to be left behind. The officers also showed no concern in this case, and often shouted at us mockingly. After we had marched approximately 7 km, we suddenly had to be quiet as a mouse. The police regiments gradually withdrew, and a few officers then stood still, while we were forced to slowly march forward. We now realized that we were being pushed over the unfortified border. 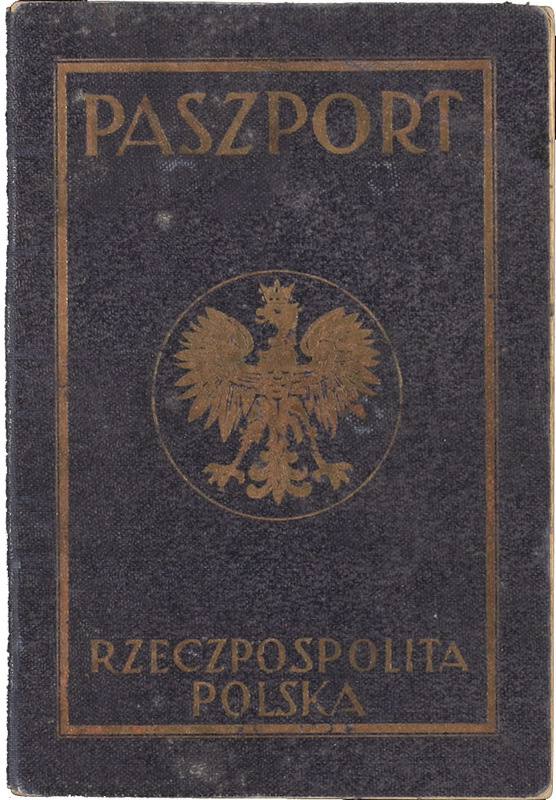 First we passed a boom gate, moved across no man’s land, and then passed another boom gate, whose colors that we could only faintly make out in the darkness revealed that we were now entering Polish territory. Not far from the frontier, we stopped in front of a Polish border house, the end of our procession still being in no man’s land. Two border guards came out of the building and were astonished to see an almost endless mass of people standing before them. We had to march another several hundred meters until the entire stream of refugees was on Polish territory. We stood on a stick-straight country road at the edge of the forest. Thank God the weather was mild. 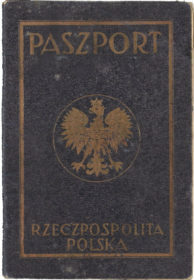 At around 9:30 p.m., our passports were checked under floodlights. After that was completed, we had to spend the night right at that spot. Those who had suitcases with them were able to sit on them. There were only a few; the rest of us stood until dawn. It rained intermittently. The very old men over 70 had been driven across the border from Neu Bentschen in mail delivery trucks, and were dropped off at the same time as us. Most of them had the opportunity to sit overnight in the border house. Over the course of the night, police officers from Zbąszyń came to guard us. At 6 in the morning, as it was getting light, they ordered us to prepare to march, and we continued on our way. A weary crowd of people lumbered down the road. We covered about 3 km before we arrived at an old cavalry barracks at the edge of Zbąszyń. We stopped in its courtyard, having reached our preliminary destination. The barracks consisted of only 6 very large stables, which hadn’t been used as such for a long time, as there was no military in the town. We were allowed to take shelter in these buildings; they were, for the most part, already occupied. People were lying and sleeping on sacks of straw and on loose straw. Only those who had brought blankets could wrap themselves up to keep warm; the others had to make do with their coats or other items. In the meantime, new “refugees” (driven out of G.) kept arriving, including entire Jewish families from various German provinces, who had been picked up at the border with all of their belongings. The image that presented itself was heart-wrenching and many stood with tears in their eyes. The crowding in the courtyard and barracks grew worse and worse. Everywhere one looked, there were despairing and weeping people; among them one also saw Jews in tallit and tefellin praying, standing near trees and in the barracks. 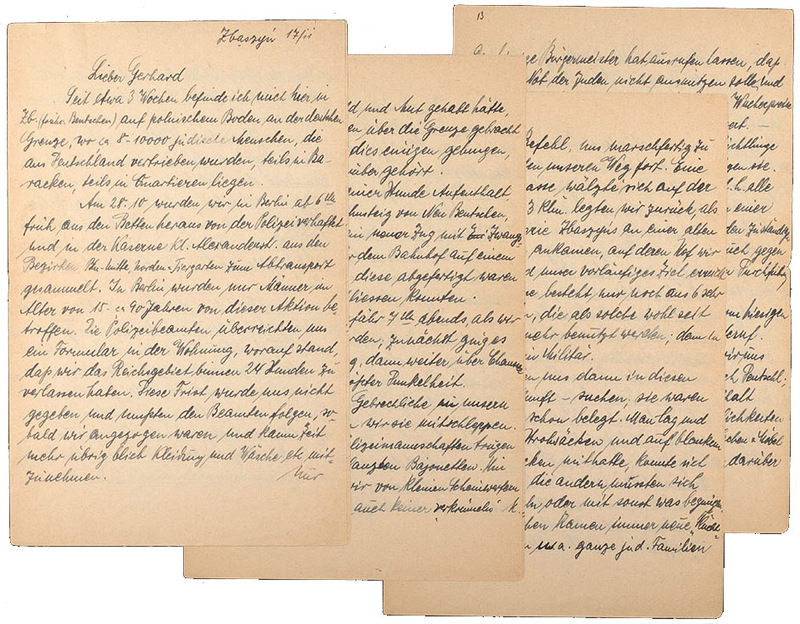 In the continuation of his letter, Max Karp describes the grave consequences of deportation for many of the displace people: death, suicide, faintings, madness, and serious illnesses. He writes about the onset of relief operations, the arrival of doctors and other medical personnel from Warsaw, the distribution of food and clothing, the support provided by the mayor of Zbąszyń, and the assistance of some Christian families. The widespread hope of a quick return to Germany, however, was dashed by the “shot in Paris”—the assassination of Ernst vom Rath on November 7, 1938. Max Karp had to endure a total of eight months in Zbąszyń. It wasn’t until the end of June 1939 that he was able to return to Berlin in order to organize his emigration. 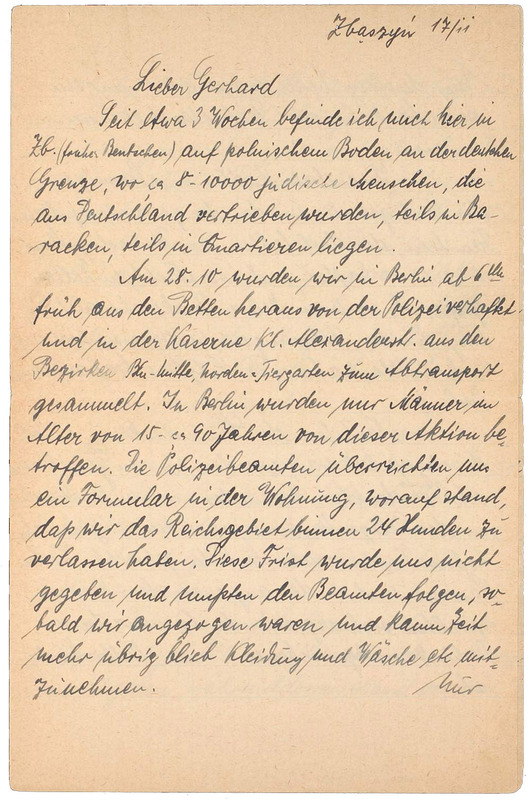 “I want to get away from here as soon as possible, for the situation is very tense,” he wrote to his nephew Gerhard on August 8. Two weeks later he appeared to have all of the necessary paperwork to emigrate to Shanghai. But the German invasion of Poland and the start of the Second World War thwarted his plans. 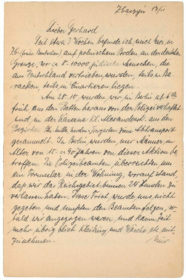 On September 13, 1939, as part of the second Polenaktion, Max Karp was once again arrested and taken to the Sachsenhausen concentration camp, where he was murdered on January 27, 1940. 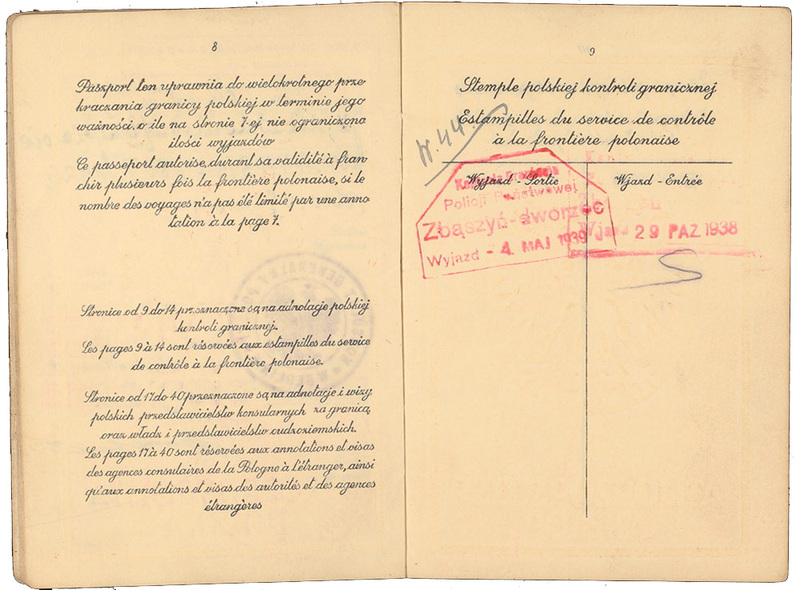 In the past years, Aubrey Pomerance, head of the archives at the JMB, has met a number of individuals who were deported to Zbąszyń in late October 1938. He recommends visiting the exhibition “Expelled! 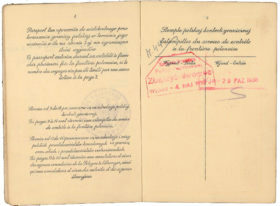 Berlin, 28 October 1938. 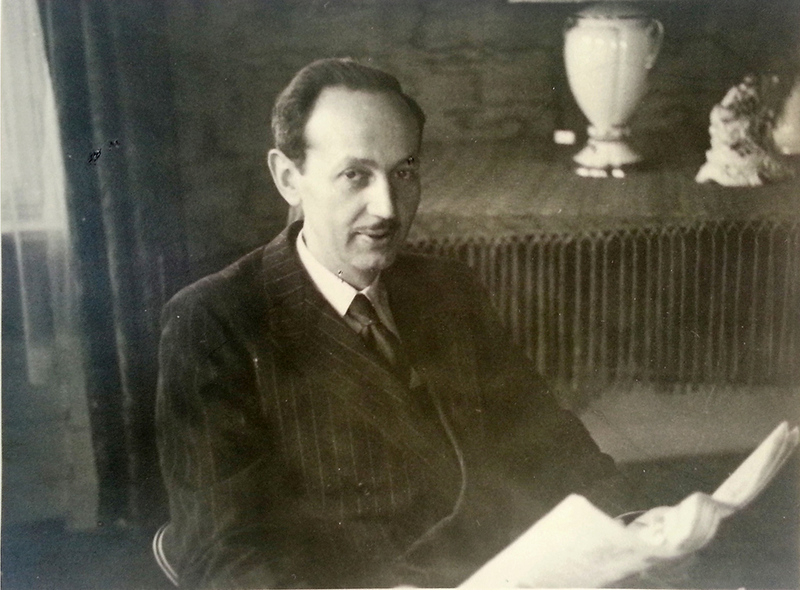 The history of the “Polenaktion”” at the Centrum Judaicum in Berlin, in which Max Karp’s account can be heard as an audio recording.